Join us for our very first Design & Drinks and make a Dia de los Muertos wreath while enjoying a tasty Beer Flavored Beer! Join us for our very first Design & Drinks hosted by our resident designer Rachael Akin. 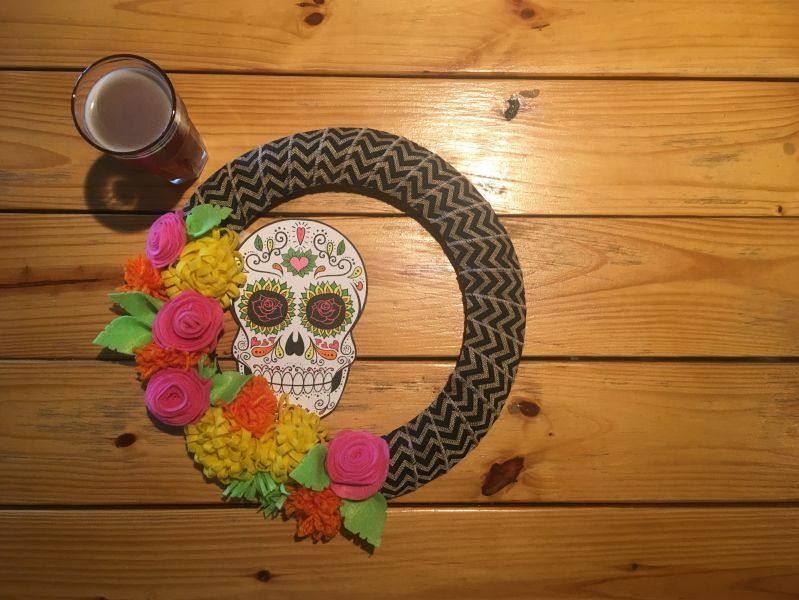 This two hour crafting session includes everything you need to make your very own Dia de los Muertos wreath, and one beer or NA beverage. Tickets are $35 and can be purchased here. Space is limited so be sure to sign up early. This project is appropriate for anyone 13 years and older, you must be 21 to enjoy our beer.